The Amazon Fire family just got a little larger, with the all-new Fire 7 and Fire HD 8 tablets added to the Fire range. You’ll be able to use the ‘Alexa’ Amazon voice assistant on the new Fire tablets. This lets you speak a command to play songs or read the latest chapter of that book you can’t pull yourself away from. Special kids editions are also launching, featuring their own rubber protective cases and unique parental controls. Both tablets drop on 07 June, but are these new arrivals worth getting excited about? We run through the key features below. First up is the Fire 7. It has a 7-inch, 1024×600 ‘IPS’ display – apparently, the screen is sharper than on the previous Fire 7 model. According to Amazon, it’ll last you around eight hours on a full charge.We’ll see just how true that is when we test the new edition for ourselves. The Fire 7 has a microSD card slot, which means you can expand the storage space to 256GB with a large enough card. It’s thinner and lighter than the previous Fire 7 – good news if you want to read books on the train without getting a sore arm. There’s a 2-megapixel rear camera with 720p HD video recording and a front-facing VGA camera for video calls. There are two variations of 2017’s Fire 7, and the price is affected by Amazon’s ‘special offers’. You’ll pay less for the version that comes with sponsored screensavers (ie adverts), which pop up while your device is in sleep mode. The 8GB model is £50 with special offers and £60 without. The 16GB model is £60 with special offers and £70 without. 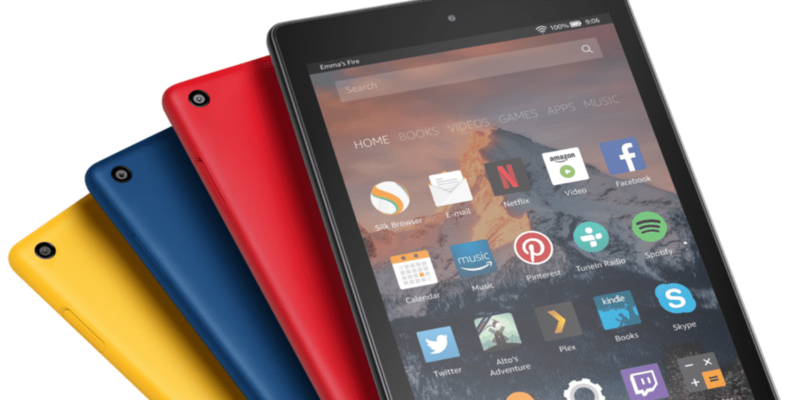 The Fire HD 8 has a larger, 8-inch screen. It has an higher resolution than the Fire 7’s, with 1280×800 pixels. Inside, it has the same processor as the Fire 7, but Amazon claims a superior 12-hour battery life. Unlike the Fire 7, the Fire HD 8 has dual-stereo speakers, an upgrade to its new brother’s mono speaker. That should mean that films have more of a ‘boom’ to them when you watch without headphones. The front and rear cameras are identical to the Fire 7’s. Again, there’s a microSD card slot for expandable memory and Alexa support. It’s heavier than the Fire 7, weighing in at 369g compared to 295g. The 16GB model with special offers (screensaver adverts) is £80. Without, the price goes up to £90. For the 32GB model, you’ll pay £100 with ads or £110 without them. 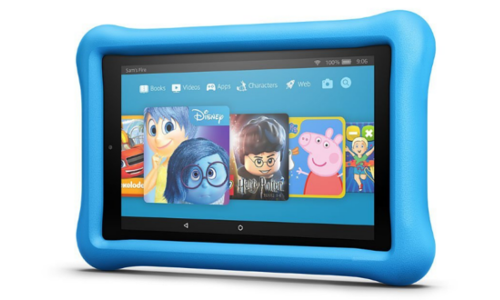 Parents will be pleased to hear that the Fire 7 and Fire HD 8 will also be available in ‘kids editions’. They both come with a ‘kid-proof’ rubber case and a subscription to Amazon Fire for Kids Unlimited. The service is aimed at kids aged 3-12. It offers books, films and educational apps. Alexa isn’t included on these models, however. The Fire 7 Kids Edition costs £100, while the Fire HD 8 Kids Edition is £130. If you don’t want to wait for any of these new releases, you can see how the rest of Amazon’s range has done in our lab. 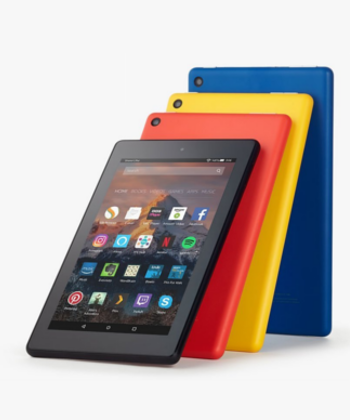 See our Which Amazon Fire tablet should I buy? guide for details. Alexa is Amazon’s answer to Apple’s Siri or Microsoft’s Cortana. It lives at the heart of the Amazon Echo smart home device. With Alexa, you can access information quickly by pressing the home button and speaking aloud. Alexa can answer questions you’d usually type into Google, for example. It can play music, grab news headlines and control other smart products in your home. It’ll read an audiobook of your choosing if you ask it to, which is great from an accessibility perspective. Alexa will come pre-installed on the new Fire 7 and Fire HD 8. But it’ll also roll out to the Fire, Fire HD 10 and past generation Fire HD 8 tablets ‘over the coming weeks’. We’ve tested all of the top-selling tablets on the market, putting gadgets from the likes of Apple, Samsung and Microsoft through their paces. Only the tablets that offer up a responsive touchscreen, clear sound and impressive battery life are worth of Best Buy status. Meanwhile, Don’t Buy devices will leave you disappointed with your purchase, let down by fuzzy on-screen text and a sluggish processor. To see which tablets have soared through our tests, head over to our tablet reviews page. If you’re a buyer on a budget, see our advice on the best cheap tablets under £200. 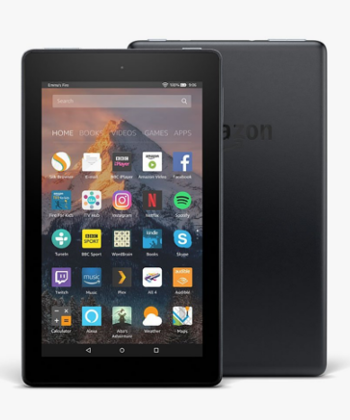 Which Amazon Fire tablet should I buy?